Grant Lawless developed and manages the MS programs in Healthcare Decision Analysis (HCDA) and Biopharmaceutical Marketing at USC. These novel master's degrees are part of an intensive, interdisciplinary program designed to train graduates from across the globe who hold undergraduate degrees in the sciences, professions, business, economics and health policy, as well as industry professionals seeking to improve their technical skills and analytical abilities. Healthcare decision analysis is a newly emerging branch of applied healthcare research that focuses on the intersection of health economics, applied health policy and insurance design, and competitive business intelligence and pricing. Prior to joining the faculty at USC, Lawless held positions at Amgen as executive director for National Accounts and Payer Markets, executive and medical director for Managed Care Marketing, and director of Healtheconomics and Outcomes Research. Prior to joining Amgen, he served as vice president for Medical and Pharmacy Affairs for Highmark Blue Cross Blue Shield in Pittsburgh, Pennsylvania. 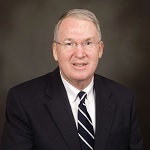 Dr. Lawless is an author or co-author of articles appearing in Cancer, Oncology, Clinical Lymphoma, Oncology Economics, Health Affairs, the American Journal of Managed Care, the American Journal of Medical Quality, the Journal of Managed Care Pharmacy, Healtheconomics and Benefits Quarterly. His professional experience includes internal and emergency medicine. He is board-certifed and a fellow in internal medicine, quality assurance and utilization review, as well as addiction medicine. He is also a registered pharmacist with specialty certification in nuclear medicine. Lawless is a graduate of the University of New Mexico and completed his residency in internal medicine at the University of Pittsburgh and St. Francis Health System in Pittsburgh.